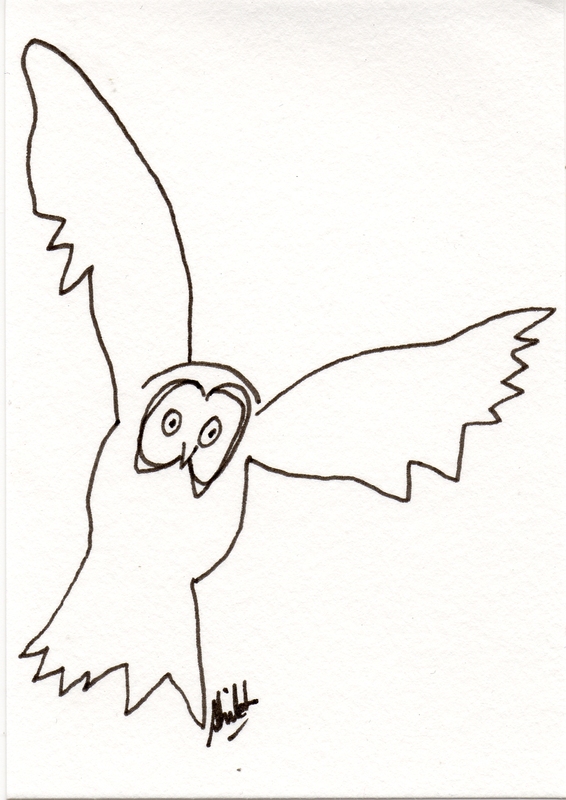 I saw a photo of an owl in flight and loved it but couldn’t keep it, so I did a quick sketch to remember it. This is what it first looked like. Thanks for leaving the link to your blog on my FB page! great little sketch shi – pretty sure i could never capture something i had seen like that.